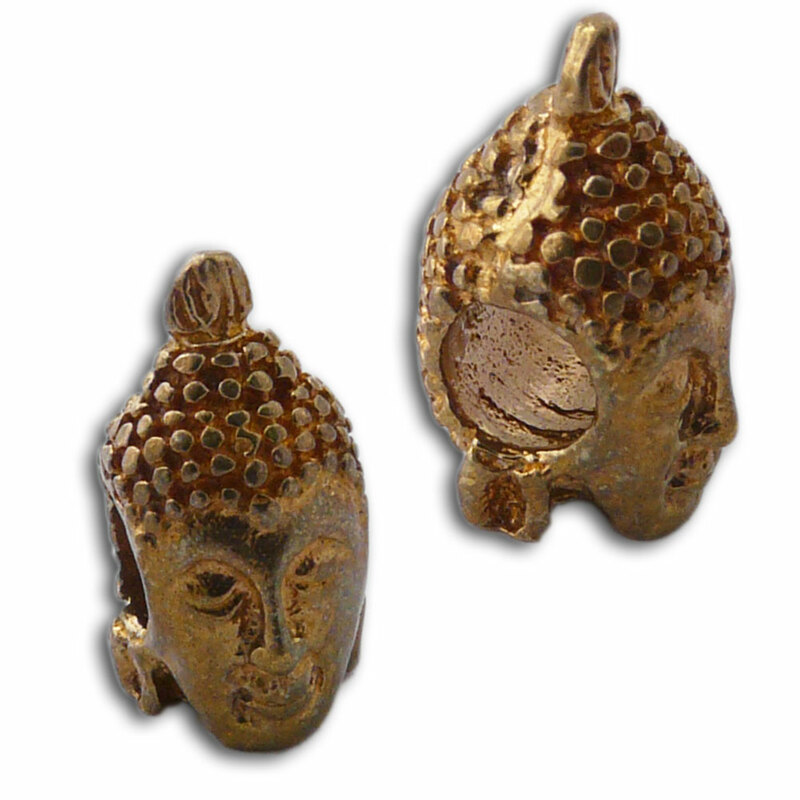 Recycled brass head of buddha bead with 4 mm opening. Compatible with Pandora and Troll. Sturdy, beautiful, eco and fair trade! 1.5 cm, 3 g.
Bracelet sized mala with 27 beads is nice for prayer and fashion. The bracelet has a strong stretchable elastic band to easily put on. Made from recycled glass and recycled glass beads. This is an ideal japa mala bracelet for men or women. Sturdy, beautiful, eco and fair trade! Recycled brass Ganesha Statue bead with 4 mm opening. Compatible with Pandora and Troll. Sturdy, beautiful, eco and fair trade! Recycled brass buddha scatter pin. It is a gorgeous buddha statue on a pin that can be worn on as a tie pin or on your yoga mat bag. Sturdy, beautiful, eco and fair trade! 1.5 cm, 3 g.